Dr Arul Shanmugasundaram. A graduate of IITM, part of the 1989 batch and former resident of Alaknanda hostel. 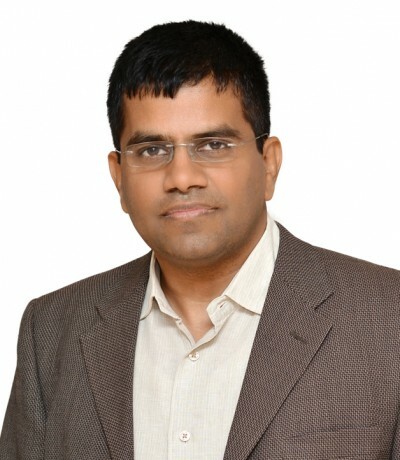 Head of B2B Business and Chief Technology Officer of Tata Power Solar Systems Ltd, and one of the known figures in India when it comes to solar power. Dr Arul Shanmugasundaram. A graduate of IITM, part of the 1989 batch and former resident of Alaknanda hostel. Chief Technology Officer of `Tata Power Solar Systems Ltd, and one of the foremost figures in India when it comes to solar power. Clearly, this was going to be an interesting conversation. Despite his lofty position, Dr Arul is pleasant and completely unaffected. He begins the conversation by asking us why, of all the alumni of IITM, we wished to interview him. We ask him about his days at IITM, and he tells us that while he had several good friends and good memories, he never did anything “interesting or scandalous”. He confesses that he was rather studious and didn’t take part in many activities; unlike the current generation, whom he approvingly describes as active. He tells us that he was here for the reunion of the batch of 89, and felt that the nature and atmosphere of the institute is much the same. This, he says, pleases him. We then proceed to talk about his education and higher studies abroad. “I don’t come from a family background from which research is highly regarded or respected,” he explains to us. “In fact my joining IIT was quite serendipitous. Not many people know IIT in my family but in 11th standard my physics teacher put me onto this training program – I was in KV in IITM – and I wrote the exam, and I got in.” He describes his degrees from Cornell as being similarly unplanned, saying that he had also written the CAT – though just to see how he would do – and had gotten into IIM Calcutta as well. Oh, and he’d gotten into Caltech too. We now go on to Dr Arul’s career. Speaking of his position at Applied Materials, which was his appointment previous to his current one, he tells us that Applied Materials is “probably one of the few companies where research and development is very much accompanied by commercialisation.” He explains to us that in the semiconductor industry, one is required to think two generations in advance, and prepare equipment and processes for future products. “That was the beauty,” he says animatedly, “you did cutting edge work but you have to come to a product which has to go into the field.” We are told that during most of the time he spent at Applied Materials, he was doing new product development. He reminisces about the first time he tasted major commercial success, which was also at Applied Materials, speaking of how it was very exciting for a fresh young graduate student. “As engineers we want to see our products be deployed in the field – it was something I was quite excited about, and it was very satisfying. I get more excited seeing a product deployed than just a research paper or a patent.” A sentiment that we can all no doubt relate with. Dr Arul then speaks of his move to India, to supervise the setting up of factories for production of a thin film line which Applied sold to Moser Baer. While there were still substantial amounts of technology involved – the product was the first of its kind in India – sales and such were a new experience, he tells us. It was after this that he joined the Tata group. He tells us that though he is currently in managing, he remains part of technological affairs in his role as Chief Technology Officer. We are told that Dr Arul is constantly looking to innovate to reduce cost, and that his passion is adopting innovative ideas early on and producing a viable product for the company. “A business guy with a tech background is best suited to introduce innovations into industry, rather than a tech guy on his own,” he says. He quips that in Applied Mechanics, he got used to PhDs running businesses. We now begin to speak of the origin of innovations – industry or academia? “It’s not always true that more innovations come out of industry than academia”, Dr Arul asserts. Apparently, more than 50% of new ideas in the US come out of universities and then go into commercialisation. “The ecosystem is evolving where young engineers can develop an idea and take into the industry. I see a huge drive from young people to do start-ups and this is something I’m excited about.” He speaks of the salary structure in India, saying that it’s not great at a young age and that it makes sense to go into start-ups. He thus believes that more start-ups will be coming from universities and will be driven by undergraduates. He confesses that he never had the risk appetite to go into a start-up and that even if he did now it would be a purely commercial industry and not idea driven. We now turn to a very interesting topic – the state of solar power in India. “Solar in India is doing very well. When I joined in 2007 it was very young and I often had to bring people up to speed on what it was; but now everyone knows, we are up to grid parity level and the industry is doing very well,” Dr Arul states. He adds that there has been a fairly significant price compression too; all in all, he expects it to be a significant part of India’s energy needs in the future. The fastest growth in power generation can happen only in solar, he insists. In response to questions about the production of solar cells, he tells us that there’s not much research in India on solar cells and not enough to produce a product in the short term .On the overall system side though, we are told, India has one of the lowest cost structures. The one dollar per system barrier has already been broken by Tata – with domestic models no less – and now the price has gone further down. Continuing on the topic of research and innovation, Dr Arul says “There’s a lot of room for innovation in India – it’s driven by need; it’s not fashion. We need solar and we need power. Also in terms of cost, I can get it cheaper from a rooftop system than from the grid; and India also has a large off grid population.” There’s a need to address all this and to this end there can be innovation in hybrid technology, storage to provide low cost distributed power which can be given 24/7 and so on, he tells us. Moving away from solar power, we ask Dr Arul about study habits and future jobs. “You have to do what suits you, there’s no one way which fits all and there’s no one particular approach. Spend 10-20% of your time on something new, outside your studies and work,” he advises. We ask now about one of the common accusations against researchers – that research is done for research’s sake and not to help the community. To this Dr Arul immediately responds that pure research which creates a product which can be sold; that’s what creates an impact and it’s more scalable and will reach the masses. “If there is a need and a market then an industry or start-up will address; it I don’t think there will be any dearth of funding for research if there is a need and a market for a product that will make a difference in people’s lives”, he states.